I absolutely love a good pesto meal and this one did not disappoint! I do have to point out though that it's tough finding sun-dried tomatoes that don't have any added ingredients or preservatives to them. Try to find fresh ones in the produce aisle or at your local natural market if you can. Also, I 100% recommend making your own pesto sauce. The recipe below came out delicious and was extremely easy to make while the chicken was cooking. I actually ended up adding the full serving of pesto sauce to the chicken because it didn't really quite make 1 cup worth for me. I also didn't have a lot of fresh basil though, which could be the reasoning for that. Anyways, while the chicken was cooking I heated up a few bags of Green Giant Riced Cauliflower on the stove top as well. All I added to the cauliflower rice was the leftover lemon juice and some salt. I am personally more of a fan of the cherry tomatoes over the sun-dried tomatoes, so next time I might decrease the sun-dried tomatoes and increase the cherry. Other then that note, I thought the meal turned out great! Not a lot of ingredients, didn't take long to make, and it came out tasting delicious! Heat a large skillet on medium heat, add 2 tablespoons olive oil, add sliced chicken, season chicken generously with salt, add half of chopped sun-dried tomatoes - and cook everything on medium heat for 5-10 minutes, flipping a couple of times, until the chicken is completely cooked through. Remove the chicken and sun-dried tomatoes from the skillet, leaving oil in. Preheat a frying pan until hot and cook the pine nuts for 1-2 minutes until browned slightly, stirring frequently to prevent burning. Place all ingredients in a blender or a food processor and puree until smooth and well combined. Ever bite into a meal so good that you are immediately happy knowing you get to eat it for lunch everyday that week? If the answer is yes, then you are doing meal prep and eating right! (And probably making some of the recipes I've posted ;-)... like this one!) This is the kind of recipe that your friend who "never uses recipes" makes. Real simple ingredients, real easy, real quick. I busted out the cast iron skillet for this one and doubled the recipe below to get at least 8 servings for the week. While I was making the chicken I had the sweet potatoes roasting in the oven, so time in the kitchen was efficient! Now I do have to point out that when I first started meal prepping I used to avoid recipes that called for ghee, simply because I didn't have the ingredient and I didn't want to pay for it. Fast forward a couple years later and now I'm using it all the time and wondering why I didn't try it earlier. For those who are wondering what ghee is, it's just clarified butter, which means it is butter with all the milk solids removed (so it's free of lactose and casein protein). This creates a higher smoke point and also gives it a nutty, more rich and intense flavor. It's not hard to make by yourself, but you can purchase it at the store as well. I mention all of this because I recommend trying ghee out if you haven't yet and I definitely recommend using it in this recipe if you can! Season chicken with salt and pepper on both sides. Melt 2 tablespoons ghee in a large pan/skillet over medium-high heat. Stir in garlic and herbs and cook another minute or so until the garlic is fragrant. Scoot the chicken over the sides and add remaining 1 tablespoon ghee to the empty portion of the pan. Once the ghee is melted, add asparagus. Season asparagus with salt and pepper, to taste. Cook, rotating throughout, for 4-6 minutes until tender and chicken is completely cooked through. Serve immediately garnished with freshly cracked black pepper and fresh herbs if desired. In place of the dried basil, oregano, and thyme, you can use about 1½ teaspoons dried Italian seasoning. Spray baking pan with olive oil. Lay down sweet potato fries flat (do not just dump a pile on the pan). I fill my Misto with olive oil and lightly spray the fries, then add some sea salt (or whatever spices you enjoy). Anyone else notice that Birch Benders came out with a couple new paleo pancake and waffle mixes!? Along with their original Paleo version that I use pretty frequently to make these Paleo Blueberry Pancake Muffins, they now have a Paleo Banana and Pumpkin Spice mix! The Birch Benders website lists that both new products can be found at Whole Foods, and after looking at my local Whole Foods store all month I finally found the Banana Paleo Pancake & Waffle Mix! These mixes only require adding water, but I also always add a scoop of Paleo Protein to get some more protein in the meal, 1 egg (though I have experimented with 2 as well) to make the muffins more fluffy, and some fruit. Since this was a banana mix I figured I'd stick with the banana theme and add a few slices of banana on top of each muffin. This is a super easy meal prep recipe to throw together and they came out smelling and looking amazing! I unfortunately didn't make enough to taste test them myself, but my mom enjoyed them for breakfast and my mother's approval is not easy to get haha! Let me know if you try this new mix out and what you think. Ever have a meal that just makes you happy to eat? This one did that for me! It was seriously so delicious and paired perfectly with this first week of sunny weather in Maryland. Alright maybe I'm just excited to be eating pineapple and see some sun, but really this meal was the bomb! The original recipe link below has the option to increase serving size, which then adjusts your ingredient amounts. I adjusted it to serve 8 people, so please note that the recipe I posted below is based off the serving size for 8 people, with the exception of the oil and Tapioca/Arrowroot starch, which I significantly reduced back down. I did put ranges for both to leave it up to you and your needs/desires though. I personally used the lower number of all ranges and thought the below amounts worked perfectly for 8 servings. Anyways, the only ingredient that was tough to find was a quality pineapple juice. Unfortunately just about every juice in the local grocery stores have added ingredients and preservatives in them. After reading every label of juice in my local Giant grocery store though, I finally found the pineapple juice I linked below in the Organic/Natural food aisle. I was thrilled about it! I paired this with some frozen riced cauliflower that I heated up on the stove top with some salt and that was it. Pretty simple recipe to throw together without much prep and ingredients to it. I definitely recommend giving this one a try! Boil, stirring constantly, until the sauce thickens and starts to reduce, about 7-8 minutes. Turn down the heat to medium/low and cook an additional 2-4 minutes, until the sauce begins to become shiny. Transfer to a medium bowl and cover to thicken and keep warm while you make the chicken. Heat 1 Tbsp of the avocado oil on medium high heat in a large frying pan. Add in half of the chicken paces and cook until golden brown, about 2-4 minutes. Flip and cook until the other side is golden brown. Then, transfer to a paper towel lined plate and lightly press out any excess oil. Repeat with the remaining oil and chicken. Serve over cauliflower rice (or rice...or both!) and garnish with green onion and sesame seeds. One of my very first blog posts was my Protein Pancake recipe that I used to make every week for breakfast. I seriously loved eating those every morning, but after I started prepping my mom's breakfasts and lunches along with my own, I unfortunately didn't have much time anymore to prep my pancakes too. Anyways, I decided to bring it back for my mom to try and I experimented with this muffin version. The only additional ingredient I used was Flaxseed and that was solely to sneak in some extra nutrients into this meal for her. The recipe below makes 9 muffins and if you are enjoying this as a meal I recommend having at least 3, which puts the meal at 20g Carbs, 8g Fat, and 19g Protein. I personally like using the single serve blade assembly on my Ninja blender because it's easier to clean up, so I ended up just making two batches of the recipe below to get 18 muffins for the week. If you are using a bigger blender though you can easily double the ingredients below. Of note, I ended up filling the muffin tins a little above 2/3 of the way full and although they alarmingly rise in the oven, once they were out of the oven and cooled down they shrunk back down. The bottoms actually shrunk in a lot more then the top, so they turned out looking a little odd, but they still tasted delicious! I'm curious if I need to add more oats of flaxseed to prevent that issue, so I'll most likely be experimenting with this one again. Anyways, this was not only an extremely easy recipe to prep for breakfast, but now my mom is enjoying chocolate muffins all week for breakfast. Happy mom, happy life! Let me know if you try these out please! Preheat oven to 350. Mix together all ingredients in blender. Spray muffin tin pan with nonstick spray, oil, or use muffin liners and fill ⅔ way full. Slightly different blog post on another staple "meal prep" that I have been making for over three years now, Kombucha! I'll get more into what Kombucha is all about below, but ever since my friend helped me get started I've never looked back, and I've also continuously helped others get started as well. As I recently gave away another SCOBY (keep reading below for more on what that is) along with directions for the Kombucha making process, I realized for the amount of times I share these directions I should just make a blog post about it. SO here it is! Leave a comment if you have any questions or need more help getting started! What? Kombucha is a beverage produced by fermenting sweet tea with a culture of yeast and bacteria (technically referred to as a symbiotic culture of acetic acid (vinegar) bacteria and yeast, or a SCOBY), also known as probiotics. Our body's are full of good and bad bacteria, and probiotics are helpful bacteria to keeping your gut healthy! There are many reasons to explore as to why you might be experiencing less than optimal gut health, but one way to help is adding probioitics into your daily consumption. Clean and dry the gallon size jar you plan on using. Add the starter tea and SCOBY into the jar. In a pot, combine 4 cups of hot water and 1 cup of white cane sugar. Put on stove at medium heat. Stir around a few times. Once the sugar dissolves, take the pot off the hot burner and place 8 tea bags in the water to steep (I use organic black and green tea). Leave the tea bags in for about 20 minutes then remove them. Then add 8-10 more cups of cold water so that the tea mixture cools down enough - needs to be 68-85ºF. Add this tea mixture to the gallon size jar with the starter tea and SCOBY. Cover the jar with cheese cloth and place a rubber band around it. Once you are done fermenting your batch, have your 7-8 bottles ready. Add some fruit into each bottle and any other flavors you want to experiment with (ginger, peppers, spices, herbs, etc.). I always add raisins to help with carbonation in addition to some fresh frozen fruit like pineapples, blueberries, and raspberries. You can either put the bottles into the fridge right away, or leave them out for a couple extra days (I personally let the bottles sit for another 3 days to carbonate more before putting into the fridge.) Once you put the bottles in the fridge (or the starter tea and SCOBY mixture), the fermentation process stops. Congrats on finishing your first batch! Go back to the first step and do it all over again to begin your next batch. Notes: Your SCOBY grows, so every 3 or so batches I peel mine in half and save it to give to someone who might want to try making their own Kombucha. When I do this, I store the SCOBY in a clean mason jar, add some of my Kombucha tea so they have their Starter Tea, then seal the jar tight and leave it in the fridge. Again, when stored in the fridge, the fermentation process stops, so you can leave it in there until you are ready to start your batch. The optional funnel is to help pour your Kombucha into the bottles, but if you purchase a Gallon-Size Glass Jar with a dispenser then you will have a much cleaner and enjoyable time bottling your Kombucha. The optional strainer is to strain the fruit from the bottles before drinking, or you can just leave the fruit in there and answer everyone's questions as to what the hecht you are drinking, or is it Moonshine, if you want! If you do strain the fruit, you also might need the funnel to help pour the Kombucha back into the bottles. For the 7-8 smaller bottles you can get fancy and purchase your own, or when I first started I simply washed and reused Kombucha bottles that I had bought from the store. Last, but not least, for those who have never tried Kombucha or a probiotic supplement before, I highly encourage you to ease into things slowly. A cup of Kombucha or half of the prescribed probiotic amount is always a good place to start, see how your body responds, and go from there. 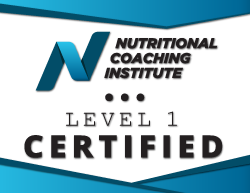 ​If any of this digestion and gut talk sparked your interest or concerns about your health, click that nutrition coaching tab above and lets chat! I used this website for help when I first started making my own Kombucha and for reference in the directions above. Check it out for further information and help!